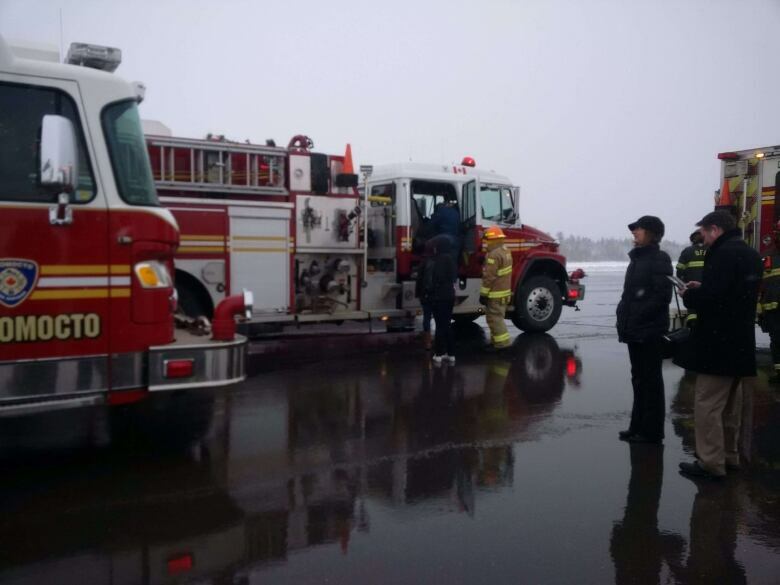 Smoke and sparks on board a Porter flight led to an unexpected landing at the Fredericton airport Saturday morning. 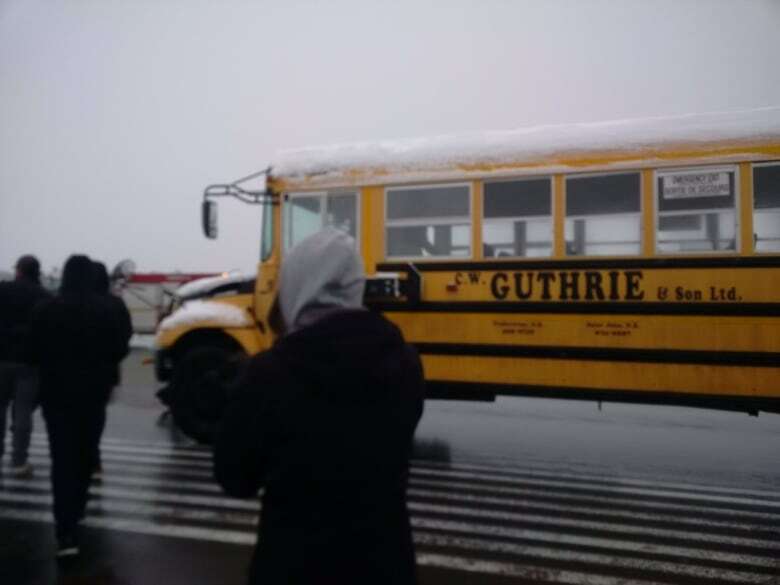 An electrical fire on board a Porter flight led to an unexpected landing at the Fredericton airport Saturday morning, and more delays for some 70 passengers eager to start their March Break. The 8:50 a.m. flight was headed from Halifax to Montreal when passengers noticed sparks and smoke in the cabin. 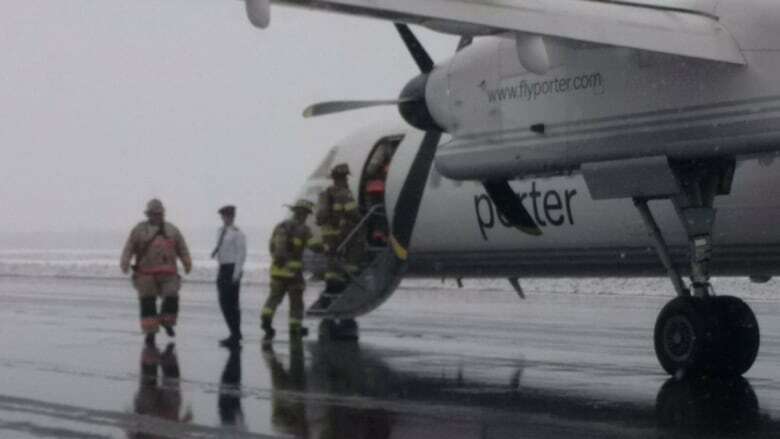 Porter confirmed in an email to CBC News that the crew reported "a small electrical fire that was extinguished prior to landing." Maria Bartholomew, a passenger on Porter flight 1480, said she was sleeping when "the light right by my seat just kind of exploded." "So I woke up to kind of sharp, electric shocks on my face and neck and a popping sound," said Bartholomew, who's on her way to visit friends and family in the Toronto area. She said at first people seemed concerned. "I think the immediate reaction was just, 'Is this going to turn into something? Is there going to be more explosions?' Thankfully, it was just...the one," she said. Ginny Clark from Dartmouth, N.S., told CBC News she also saw sparks coming from the light fixture. Clark said there was a smell of burned plastic on board. 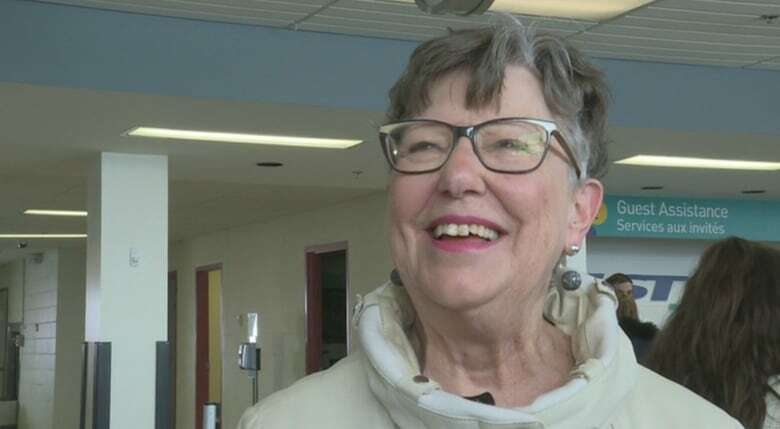 A passenger alerted a flight attendant who "addressed it right away," said Clark, who's travelling with her daughter to Toronto. "It was a little concerning, of course, but the flight attendant kept calm, cool and collected and basically said 'We're going to check this out,'" she said. After a few minutes, the 72 passengers were told that they'd be landing at the nearest airport, said Clark. Fire trucks arrived at the airport to offer shelter to passengers until they were bused off the tarmac. 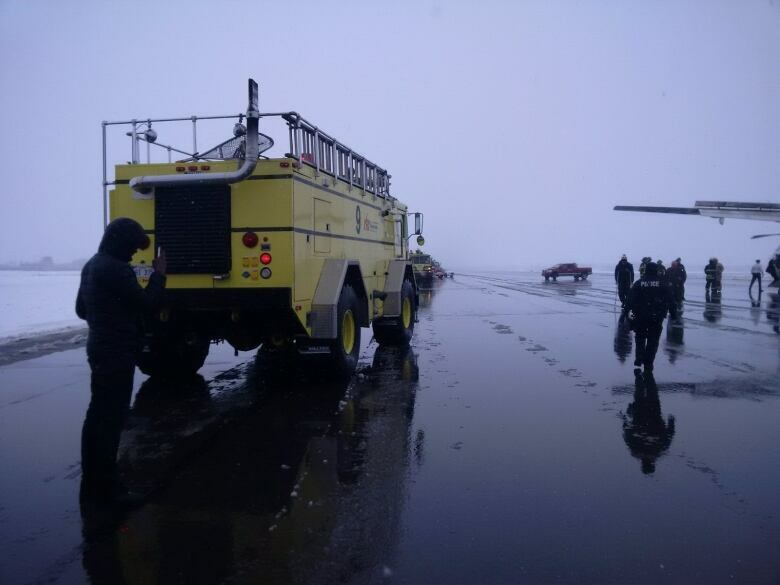 There were at least four fire trucks and multiple personnel surrounding the plane on the tarmac Saturday afternoon. It's snowy and foggy in Fredericton, and plows were in operation on the runway. Porter Airlines said there were 72 passengers and four crew members on board. "We understand that everyone involved safely exited the aircraft in Fredericton," the company said in an emailed statement. "We are currently determining alternatives for the passengers to travel to their destination today on an another flight. The aircraft involved will be inspected and assessed prior to becoming serviceable at a later time." 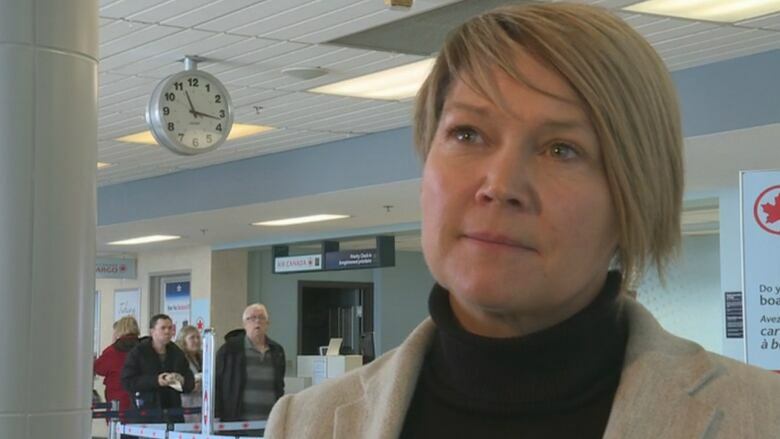 Johanne Gallant, president and CEO of the Fredericton International Airport, said no one was injured and they're working to get passengers to their destinations. There have been a few delays but planes are continuing to land at the airport, which remains open, Gallant said. The passengers on 1480 had already had their flight delayed Friday night due to bad weather in Halifax. Linda Yeates is trying to get to Toronto for a Leafs game tonight. "Oh, we better make our Leafs game, I think we will," she said glancing at her watch. "We've got time yet." Bartholomew said she's still waiting for information about when she'll be able to leave Fredericton. "We haven't been told anything, so I guess they're going through protocol so I have no idea, I have no idea what's happening," she said. When CBC News spoke to her, Bartholomew was waiting in line for a $15 voucher so she could buy food. 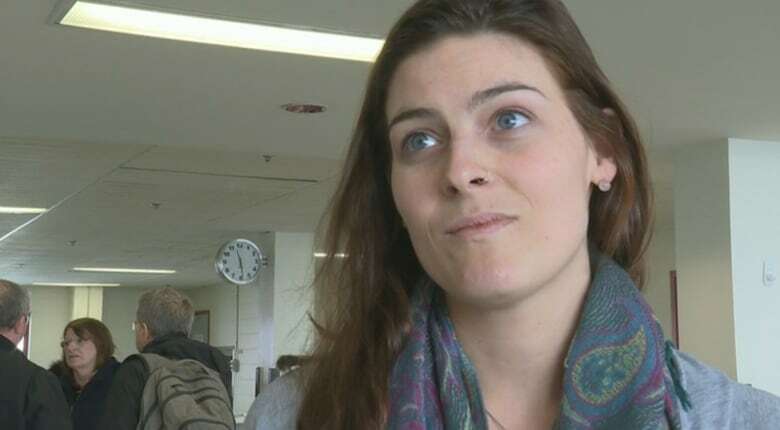 She said passengers were told to leave all their belongings on board the plane. "It could have been a lot worse, so I'm thankful for that," she said.